We can play America's favorie game without Vanna Whtie. Our Our Wiheel of Misfortune wheel is setup like the board from Press Your Luck. 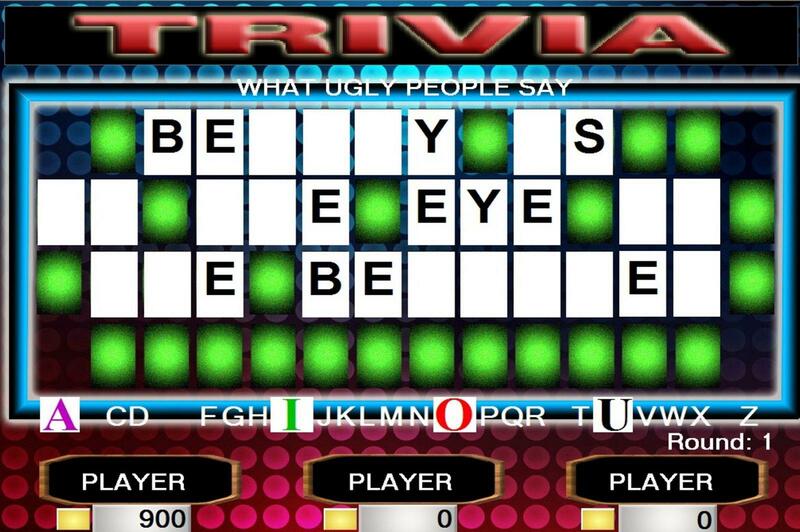 Similar to Wheel of Fortune...Players guess letters and buy vowels to solve a popular hidden phrase. 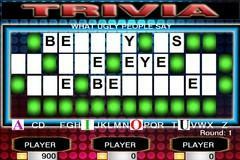 An additional feature like TV's "Press Your Luck," creates additional excitement as players "spin' to get top dollar for their selected letters. We can customize game boards/questions as well. Our Wheel of Misfortune Game Show is perfect for schools, bars/pubs, churches and corporate events. Upgrades can incl. deluxe sound system, larger video screen/projector, and/or JammText.